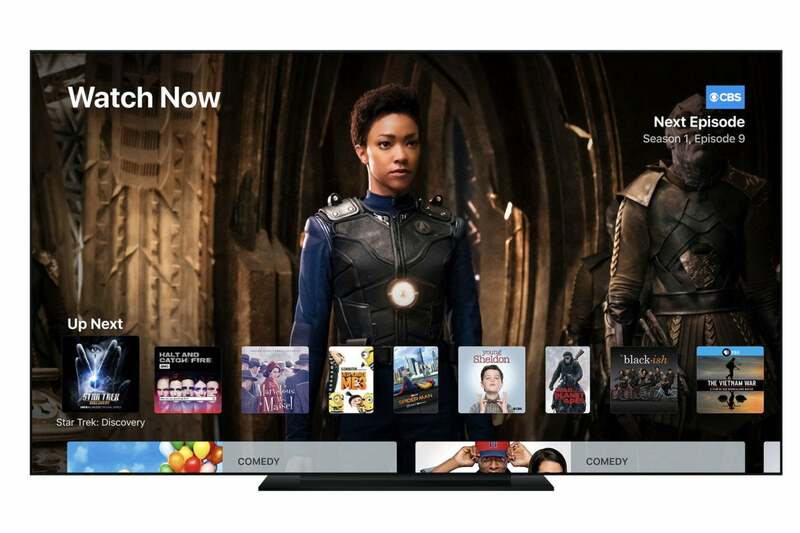 Expanding the Apple TV ecosystem could turn out to be key to the success of Apple’s upcoming video service. 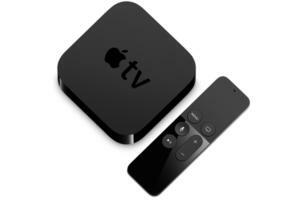 You might have missed it between all the turkey brining and Black Friday sales, but last week The Information reported that Apple considered making a tiny AppleTV “stick” similar to those made by competitors like Amazon and Roku. Up to now, Apple has been steadfast in holding the line on Apple TV pricing. When the company introduced the Apple TV 4K, it didn’t even drop the price on the fourth-generation model—they’re still both for sale, at starting prices of $149 and $179 respectively. Compare that to the competition: You can buy a Fire TV Stick for $40 and a 4K version for $50, and comparable devices from Roku cost $30 and $40, respectively. Yes, these sticks are underpowered compared to Apple’s box—Roku’s Apple TV equivalent box is $100—but no matter how you measure it, Apple’s not competitive in the TV box market when it comes to price. That’s Apple for you. It’s never been the low price leader. 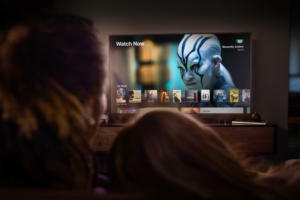 The difference is that in 2019, Apple’s going to launch a new video streaming service, featuring more than a billion dollars in content that it’s been buying for more than a year now. 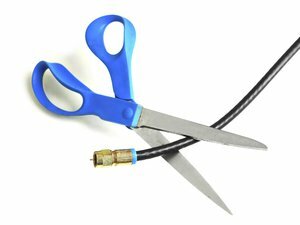 And while people will be able to watch that stuff on their iPads and iPhones and Macs, it won’t be easily accessible on a TV without an Apple TV. We are in an era where Apple is trying very hard to grow its services revenue, from the App Store to iCloud to Apple Music to, yes, this new video service. The question is, is the growth of Apple’s video service important enough to abandon high margins and prices of hardware products like Apple TV? According to The Information, Apple has at least thought about it. If Apple made an Apple TV stick like Amazon's Fire TV Stick, would the device have all the Apple TV features? The appeal of TV stick products is that they’re small, unobtrusive, and cheap. I have a hard time believing Apple would sell one for $50, like Amazon, but at $75 or even $100 it would be dramatically cheaper than the $149 entry price into Apple TV today. What sort of functionality would an Apple TV stick provide? It’s easy to say that it might not offer support for 4K and HDR, but I’m a little hesitant to write those off. 4K and HDR are where the TV market is at now, and Apple will no doubt be boasting about how all the programming on its video service are in 4K HDR. Would Apple build a new TV product in 2019 and not offer 4K HDR support? I suppose it’s possible, but it seems like a weird choice to me. Maybe a better option would be for Apple to offer two models, as Amazon and Roku do—a non-4K version for $75 and a 4K edition for $100, let’s say. Another possibility would be for Apple to remove functionality from the current Apple TVs in order to differentiate the stick from the “real” Apple TV. The Siri Remote could potentially be omitted. (Apple could even tell buyers to use the Remote app on their iPhones or iPads to control the device.) Apps could be restricted, so that only video apps appear in the App Store. I also wonder if, rather than making a much cheaper product, Apple simply discounts the Apple TV and Apple TV 4K and includes an inducement to the new video service. What if the prices of the two boxes are cut to $79 and $99, or $99 and $129, or whatever—and then Apple offers new buyers six free months of the new video service? It’s a way to motivate people to pick up a box and try out the service without cutting the price for every customer. There are a lot of options here. A lot of them don’t make a lot of sense, but then again, selling your TV boxes for $149 and $179 doesn’t make a lot of sense either. Apple TV inside a TV? Thinking of ways for Apple to expand access to its ecosystem in general and its video service in particular, it’s worth at least considering the idea that Apple should also license some or all of the Apple TV technology to TV manufacturers. My current 4K HDR TV, made by TCL, has integrated Roku software. Essentially, the entire TV input interface is driven by Roku’s software. There’s basically a Roku box inside my TV set. 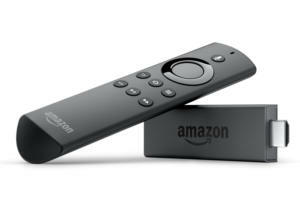 There are also TV sets that now have Amazon’s Fire TV technology embedded inside. Is it unreasonable to think that Apple could make a deal with a few TV partners to offer embedded Apple TV technology on their high-end 4K HDR sets? In the old days, when Apple measured success by the margins it managed on selling its hardware products, I’d say yes. But today’s Apple is about that services business and the ecosystem. Getting that ecosystem into more TV sets is probably more important than whatever Apple TV sales revenue it might forego. I don’t know what’s going to happen, but it sure feels like Apple’s previous culture is rowing hard against Apple’s current business focus. People who already have a foot in Apple’s ecosystem need a reason to step further in. This past weekend I talked to a friend who was excited about one of Apple’s iTunes TV series sales. He’s got an iPad and an iPhone, but no Apple TV—and he wanted to watch the TV episodes he bought on his TV set. A situation like this should be a no-brainer—and if Apple made it cheaper to connect his TV set to its ecosystem, he’d be buying TV series on iTunes and trying out Apple’s TV service when it comes out. But he’s not spending $150 on an Apple TV. This is the kind of person Apple needs to reach, some way or another. Let’s face it: Apple’s fortunes are never, ever going to rise or fall based on revenue generated by Apple TV hardware sales. It’s an afterthought of a product, a minor accretion to the overall ecosystem at best. But it could turn out to be a key part of a larger strategy to get people paying Apple money every month to watch its new video service.